I made an interview with Thet Oo Mon who is attending Joint Master Degree of Water and Coastal Management (WACOMA) in Europe over the next two years. She made it through the competitive application process for a fully funded ERASMUS Mundus Joint Master Degree. She shares her experiences about how she went to pursue postgraduate study and the process to apply the ERASMUS Mundus Scholarship. Previously Thet Oo Mon has worked as a Junior Engineer in Royal HaskoningDHV in Yangon, after graduating from Myanmar Maritime University withthe specialization of Port and Harbor Engineering. Starting from 2015, she was appointed as Project Engineer and GIS assistant in a water allocation study for the Samon River Basin in the Dry Zone Myanmar. She participated in Meikhtila Lake project, one of the "Learning by doing" projects supported by The Netherlands Government for 1 year. In 2017, she was a part of team which identified options for enhancement and optimization of navigation channel in the Pathein River. Later 2018, she participated as GIS expert in identifying options for an integrally improved sewage system in Yangon downtown, and giving supports in overall implementation of the project, preparation of GIS maps, data collection, interpretation and compilation for use in modelling in sub-project 1, component 3 of Ayeyarwady Integrated River Basin Management (AIRBM) project. "I have learnt social and stakeholder relations by involving in various multi-stakeholder water-related project, experience working in multi-cultural environment GIS skills and basic hydraulic or hydrological modelling knowledge, knowledge on quality management and project management, proposal writing." Additionally, in 2017, she succeeded to join the Young Expert Program (YEP) as part of her job at Royal HaskoningDHV. The program entailed attending a 3-week training course in The Netherlands. "I got so many experiences and learning from Young Expert Program, which are negotiation, conflict management, business communication and design thinking." She mentioned. "Besides, I got my individual personal coach to do my personal development including mentoring and coaching to my career." 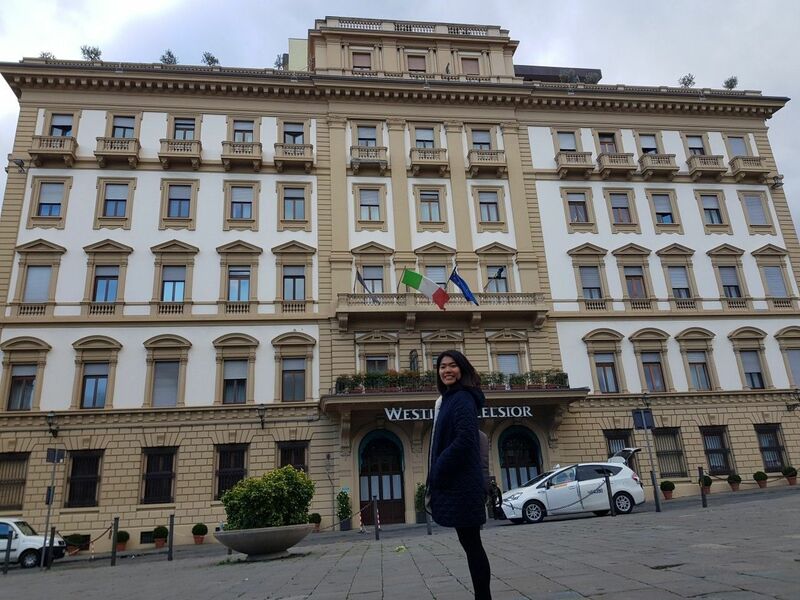 Currently, Thet Oo Mon is attending courses in the Ravenna Campus of the University of Bologna, Italy, studying water and coastal management in Europe. Since it is a joint master degree, she needs to finish her study by attending 3 universities in 3 different countries: Italy, Spain and Portugal. The main objective of the Master WACOMA is to train future environmental managers, increase their employment competitiveness in the multidisciplinary domain of Water and Coastal Management, providing a solid knowledge of environmental and legal competencies concerning hazard and risk mitigation, adaptation, knowledge of the economic framework of climate change and green economy. In the first year of the program, the students attend compulsory basic modules, which are taught in Ravenna (1st semester), followed by an intensive advanced topic Winter School at University of Algarve in Portugal. In the 2nd semester, the modules include specialized optional modules to be attended at the University of Cádiz in Spain. Also, the 2nd year structure contains internship and a dissertation project accompanied by transferable skills modules. If you want more specifics of the study program, you can check the information on their website here. Thet started applying for the scholarship in February 2018, she successfully accepted placement in three months later. In July, she got the news that made her dream come true: receiving an acceptance letter from the University of Bologna. "The language barrier might be one of the main problems while studying aboard," she shared about her experience. But with the difference in language there also comes the culture diversity, which makes a very valuable and diversified learning experiences. 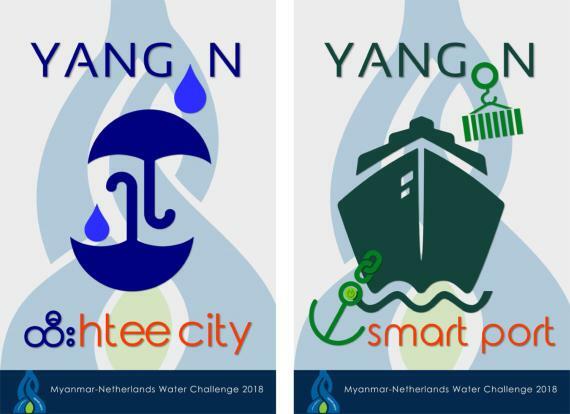 "I wish to be able to contribute in the water sector of Myanmar, by tailoring water management based on best practices and lessons learnt from other countries. Added with my job experience and the knowledge and understanding of Myanmar's water sector I hope to make a valuable contribution," she said about her future plan subsequently. She is thrilled to do the international internship program in 2nd semester to gain knowledge and experience with different cultures.